In response to growing water demands and concern over watershed degradation, the municipality of Quito, the water company of Quito and The Nature Conservancy helped create the Fund for the Protection of Water (FONAG) in 2000. FONAG works to mobilize critical watershed actors to exercise their civic responsibility on behalf of nature, especially related to water resources. The multi-stakeholder board—composed of public, private and NGO watershed actors—provides a mechanism for joint investment in watershed protection, including supporting the communities that live there. FONAG conducts source water protection through a variety of mechanisms. First, it works to protect and restore high Andean grasslands (páramos) and Andean forest in critical areas for water provision to Quito, including areas owned by local communities, private landowners and the Quito water company. In addition to direct source water protection activities, FONAG focuses on strengthening watershed alliances, environmental education and communication to mobilize additional watershed actors in watershed protection. FONAG has also established a rigorous hydrologic monitoring program to communicate and improve outcomes of investments in collaboration with several academic institutions. FONAG has an endowment of more than US$10 million and an annual budget of more than US$1.5 million. 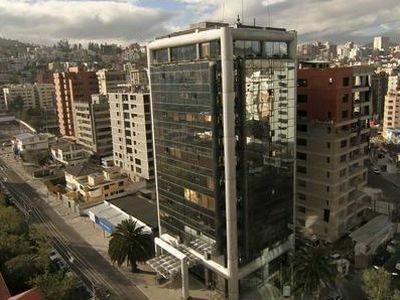 The largest source of funding (nearly 90 percent) comes from Quito’s water company, which by a municipal ordinance is required to contribute 2 percent of the water company’s annual budget. Since its inception, FONAG has worked to protect and/or restore more than 40,000 hectares of páramos and Andean forests through a variety of strategies, including working with more than 400 local families. Visit the Latin American Water Funds Partnership: Quito Water Fund section for further details. Where did the Water Fund story begin? Listen to Alejandro Calvache from TNC describe how the first Water Fund began.